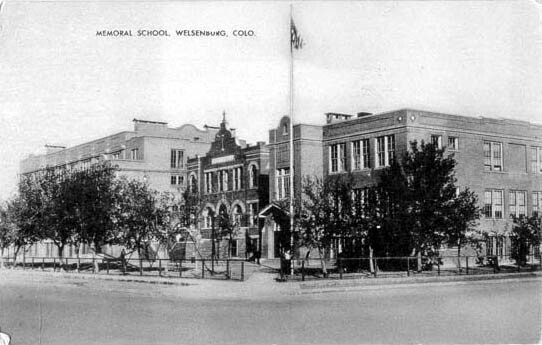 St. Mary's School - This penny postcard says "Memoral School, Welsenberg, Colorado. Notice the spelling. There is no date of the card. 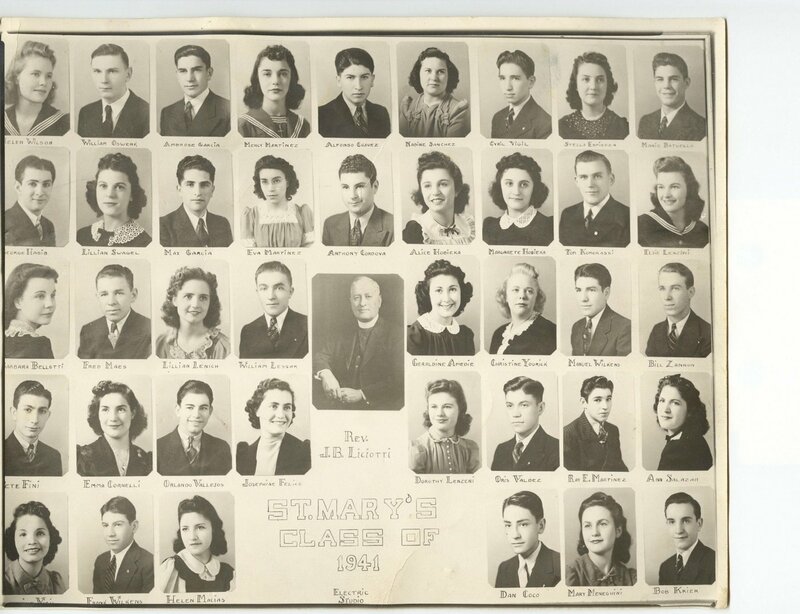 Graduation invitation for the Class of 1926. The Senior Class of St. Mary's School requests the honor of your presence at its Commencement Exercises Friday, May twenty-eighth Nineteen hundred twenty-six at eight o'clock Star Theatre Walsenburg, Colorado. Commencement program, Class of 1926. St. Mary's High School, Friday Evening, May 28, 1926 At 8:00 Star Theatre. Printed by Independent Publishing Co., Walsenburg, Colorado. School Program dated 12-22-1927. Saint Mary's School, 8pm. 6. Santa Claus at The Bar of Justice. 8. Battle of Life…March…St. Mary's Band. Commencement program for class of 1927. Saint Mary's High School, Friday evening May 29 at 8:00, St. Mary's Audotorium. 1928 St. Mary'sAnnouncement of the play "Mother Mine" at St. Mary's High School, 4-24-1928. Presented by the students of St. Mary's High school. Reception to his Excellancy The Most Rev. Peter Fumasoni-Biondi, Apostolic Delegate.